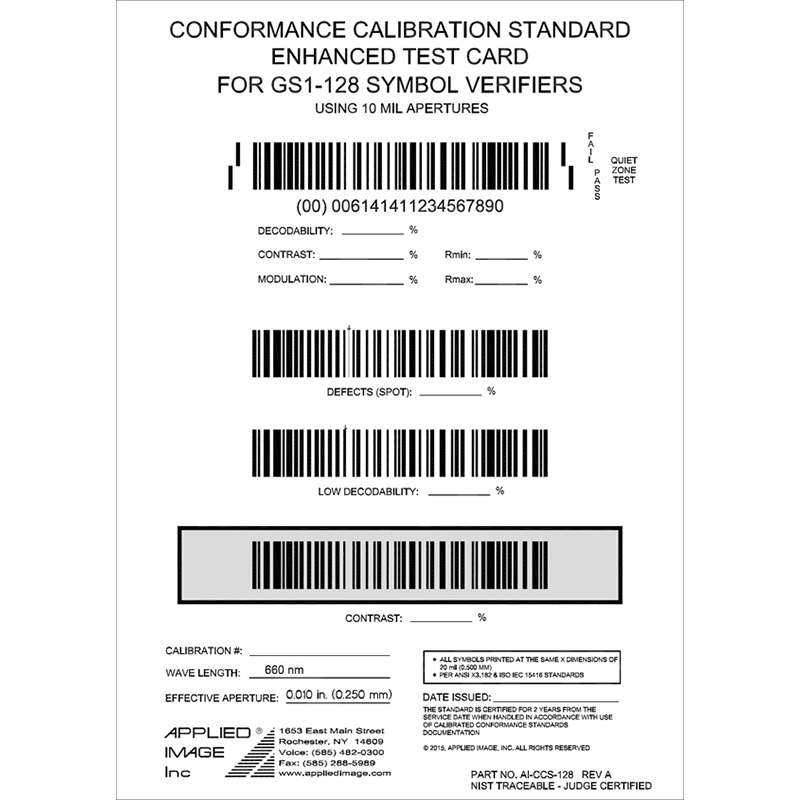 The Conformance Calibrated Standard Enhanced Test Card for GS1-128 Symbol Verifiers complies with both the ANSI X3.182 and ISO 15416 standards and is ideal for testing of verifiers, scanners, and other barcode reading equipment. 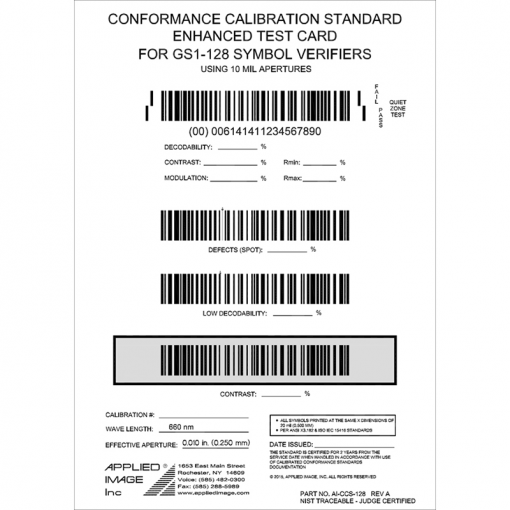 The new AI-CCS-128 test card is manufactured on special high definition material, calibrated using an extremely high-resolution reflection micro-densitometer as well as NIST Traceability, for reflectance and linear dimensions, individually serialized and is Judge Certified in accordance with ISO-15416 and ISO-15426-1 and ANSI X3.182 standards. Each Test Card is serialized with the main calibration parameter results of each symbol is recorded on the test card below each symbol and on the accompanying Calibration Report. A statement of estimated uncertainty is documented on the Calibration Certificate. 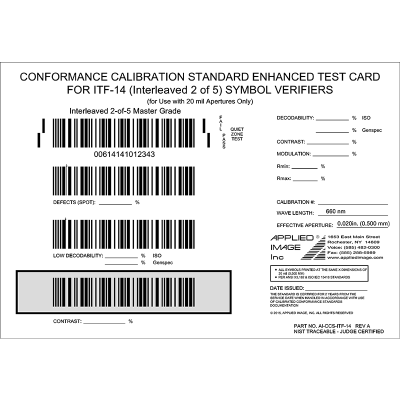 Both the Calibration Report and Certificate are included with each test card. 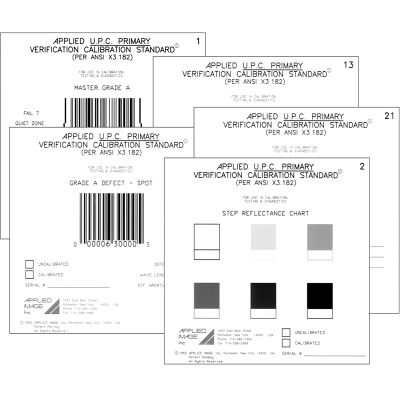 The test card is laminated to a rigid, flat backing material to minimize internal reflections. This thicker and flatter material is superior to what was previously provided on other cards.